Aqua-Cream™ is a unique lotion that should be applied before or after using Pros-Aide© or other make-up. 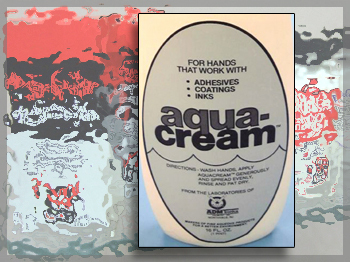 Because Aqua-Cream™ is specially formulated with unique protective film-forming emollients, it is great for your hands and the skin. Aqua-Cream™ Lotion should be applied generously, spread evenly but not rubbed in. Rinse with cool water and pat dry.